Everyone is a wee bit Irish on St. Patrick’s Day. Whether you go beyond a “wee” and paint your face green, don green clothes and attend parades or just fancy a delicious drink and some good food and good company in the comforts of home, there is even more reason to celebrate-St. Patrick’s Day, March 17, falls on a Friday this year. There are a host of green-colored cocktails to mix up or you can embrace all things Irish by raising a glass to the occasion with a true Irish-made spirit or beer, many of which have centuries-old origins. Jameson Irish Whiskey has been embracing their “Sine Metu,” motto, which translates to “Without Fear,” as courage to act on your passions, since 1780. Their original whiskey is a blend of pot still and fine grain whiskeys that is triple-distilled and aged for a minimum of four years. Jameson has a balance of spicy, nutty and vanilla notes with hints of sweet sherry and exceptional smoothness. Add a shot of it to java for the classic Irish Coffee or mix it up for a whiskey soda and more. Try the Jameson Black Barrel Old Fashioned: Combine 2 parts Jameson Black Barrel, ¾ part Benedictine liqueur, 2 dashes Angostura Bitters and 2 dashes orange bitters in a mixing glass, add ice and stir until ice cold. Strain into an ice-filled rocks glass. Garnish with an orange slice. 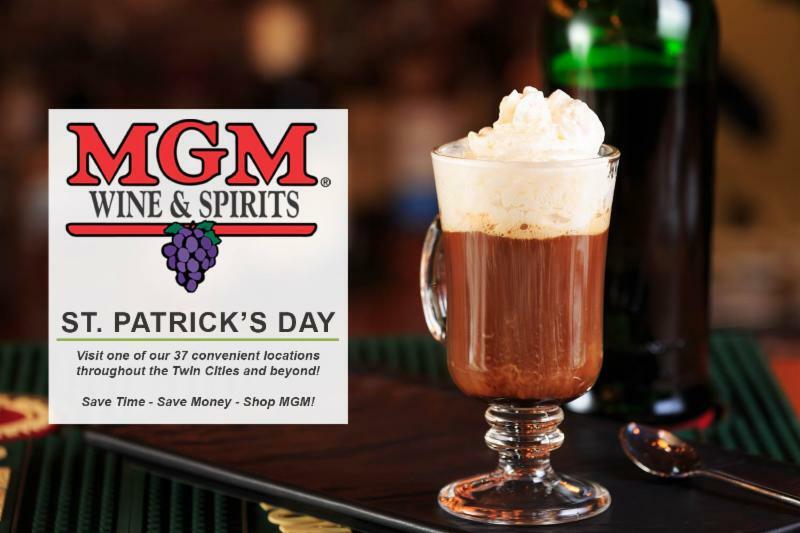 A 21st century creation, 2 Gingers Irish Whiskey, though made in Ireland, was launched in Minnesota by local restaurateur and Irishman Kieran Folliard. It is distilled at the famed Kilbeggan Distillery in Ireland, formerly called the Cooley Distillery. This smooth, malty and slightly sweet blended Irish whiskey is named after Folliard’s mother and aunt, the two fiery redheads whose likenesses are on the bottle. If you prefer to celebrate with a brew, the ever-popular Guinness won’t disappoint. From beginnings in 1759, their classic stout has been joined by three new brews-Dublin Porter, West Indies Porter and Guinness Golden Ale-as the innovative brewers continue to brew up anything they can dream up and push brewing boundaries. Smithwick’s Irish red ale-style beer hails from Kilkenny, Ireland. It is a clear beer with a red tint that was originally created as a special brew for the first Kilkenny Beer Festival. Smithwick’s also brews pale ale and Atlantic blond ale. On the lighter side, the Irish-brewed Harp is a medium bodied golden-amber lager with slightly sweet malt and floral hop aromas-a go-to anytime brew. 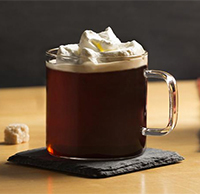 A true Irish Coffee is simply coffee with a kick of Irish whiskey topped with cream. The cocktail was created in 1942 by Joe Sheridan, a bartender at Foynes airport (near the present-day Shannon airport). The majority of transatlantic flights used to stop to refuel in Ireland and in 1947 an American journalist, Stan Delaplane tried Sheridan’s Irish Coffee at his bar. The recipe spread and the drink became a classic. 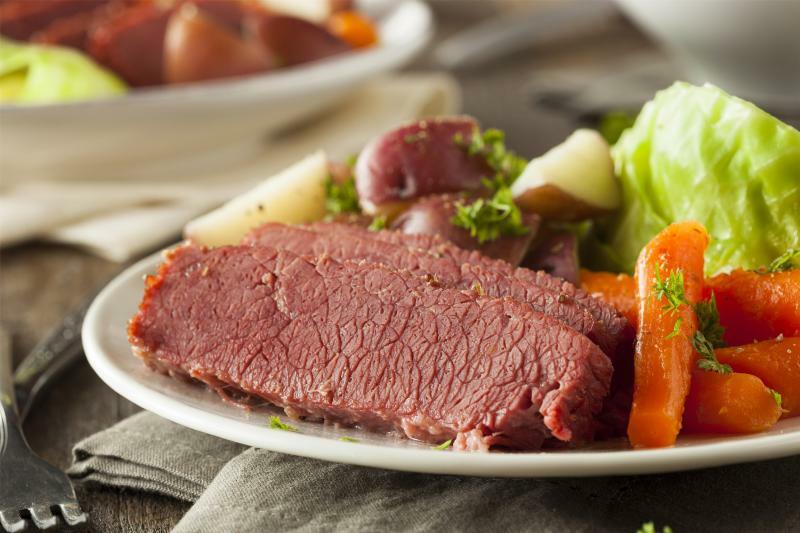 The classic St. Paddy’s Day meal of corned beef and cabbage with carrots and potatoes pairs well with dark lager and Irish ales. 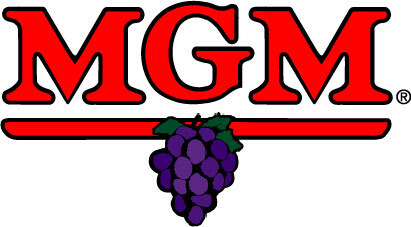 If you prefer wine, try Beaujolais, Pinot Gris, Riesling or Zinfandel. Start your meal with an appetizer of Irish cheese accompanied by nice, crusty bread. Dubliner cheese is a good option. A sweet, mature cheese, it has a distinctive tang that combines the sharpness of mature cheddar, nuttiness of Swiss cheese and a bite of Parmesan. There are also aged Irish cheddars that would be a delicious choice. If you prefer ribs to corned beef, give the following recipe made with Guinness a try. 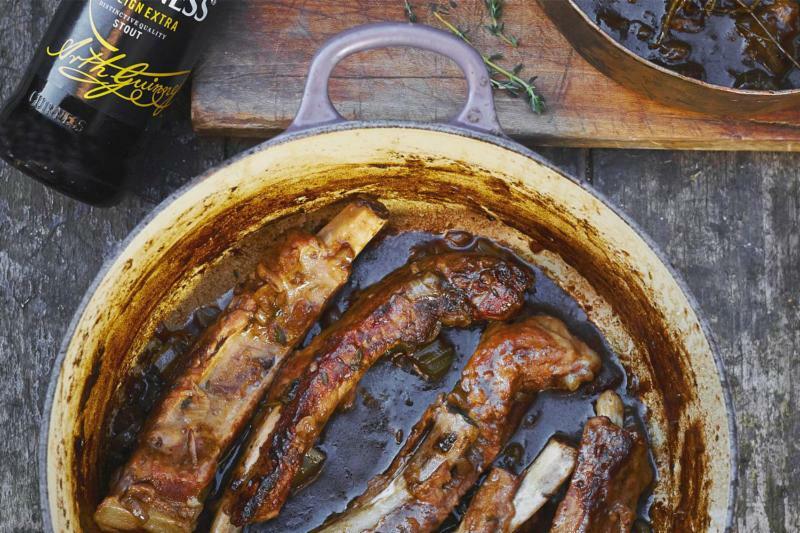 Add rich layers of flavor and Irish spirit to savory ribs with Guinness in the mix. Season short ribs generously with salt and pepper. Coat your pot with canola oil and pan sear short ribs in batches. When the meat is seared to an amber brown color, transfer to a roasting pan. In the same pot, sauté carrots, onions and celery for 5 to 8 minutes then transfer to the roasting pan. Add two cans of Guinness Draught to deglaze the pot over medium heat. Pour this liquid over the short ribs in your roasting pan. Add beef stock, tomato juice and fresh thyme to the roasting pan and cover tightly with foil. Place meat into preheated oven and braise for 2 to 2 ½ hours. The short ribs will slightly pull away from the bone when cooked. Ribs vary in size so cooking times may differ. Remove short ribs from the roasting pan and transfer to a plate to rest. Strain the remaining liquid and divide in half. Pour one half of the liquid into a saucepan and, over medium-high heat, reduce to create a sauce. When ready to serve, simmer short ribs in the second half of your liquid until tender, approximately 15 minutes. Spoon sauce reduction over the short ribs and serve.